HMNS is home to 11 permanent exhibit halls that house many wonderful and rare things. 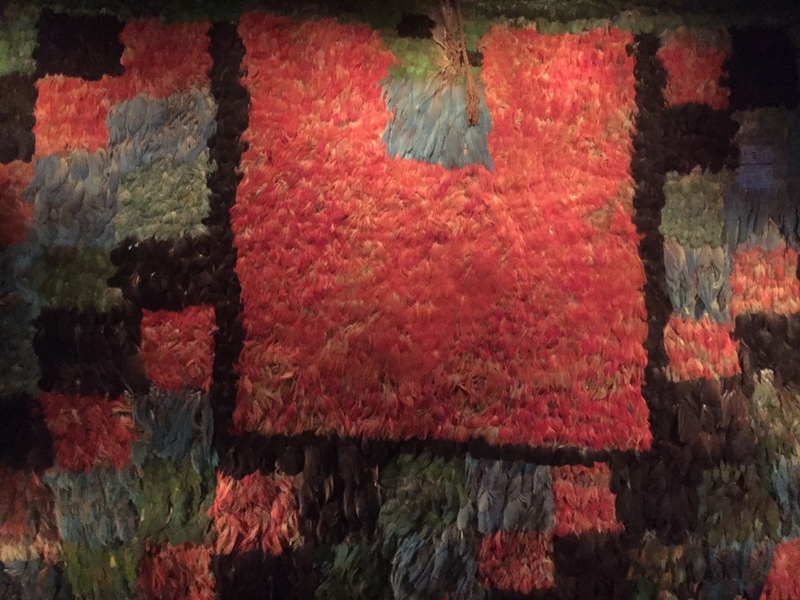 Even if you’ve visited our museum several times, we can guarantee you’ll always find something new to see! Next time you stop by HMNS, see if you can spot these five extremely rare items that are on display. Just outside our Burke Baker Planetarium sits a small collection artifacts from NASA’s history, including a lunar rock sample. 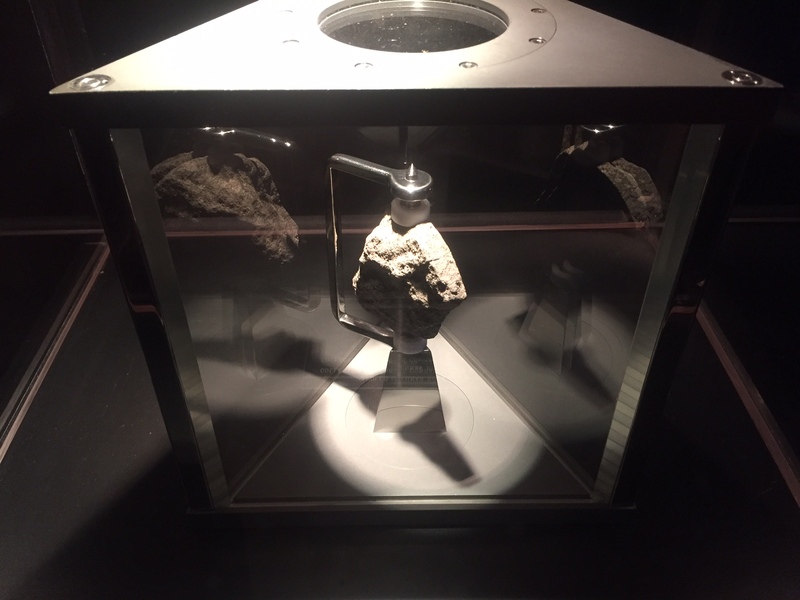 Suspended by metal brackets, encased in an acrylic enclosure, the moon rock looks like some sort of dangerous, radioactive space object from a cheesy science-fiction movie, but really all that protection is for the rock so it isn’t contaminated by earth-germs. Only about 842 pounds of lunar rock samples were brought back to earth during the era of the Apollo missions which ranged from 1969 – 1972. That may sound like a lot, but considering their research-value, the demand for access to them for study and difficulty and expense of getting more, lunar samples are quite rare and valuable. 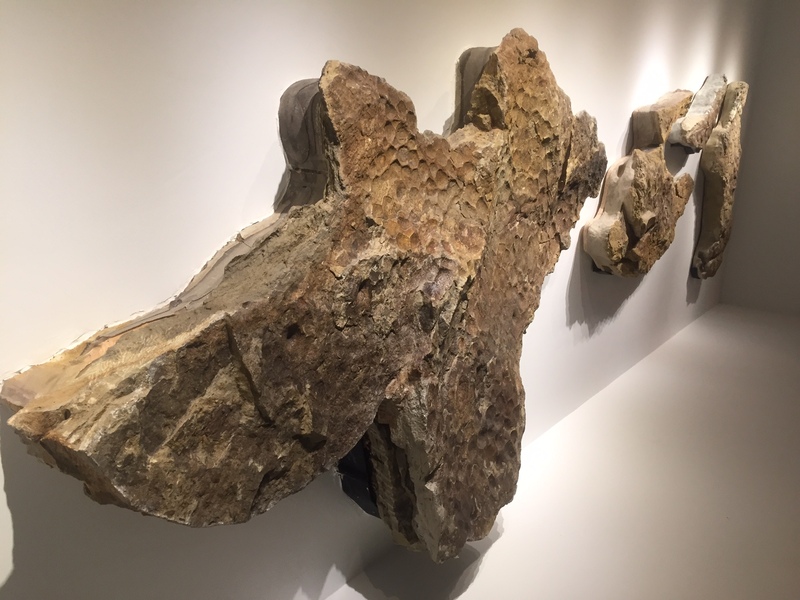 Discovered on the Zerbst ranch in Wyoming, “Lane” the Triceratops is not only one of the most complete Triceratops skeletons ever discovered but is also displayed with petrified skin found in the rock around his bones. Sometimes skin impressions are found in relation to dinosaur skeletons, but our sample at HMNS is the actual skin of our Triceratops. After the animal died, it’s skin was naturally mummified and over time that preserved skin was buried and fossilized just like the rest of the bones. 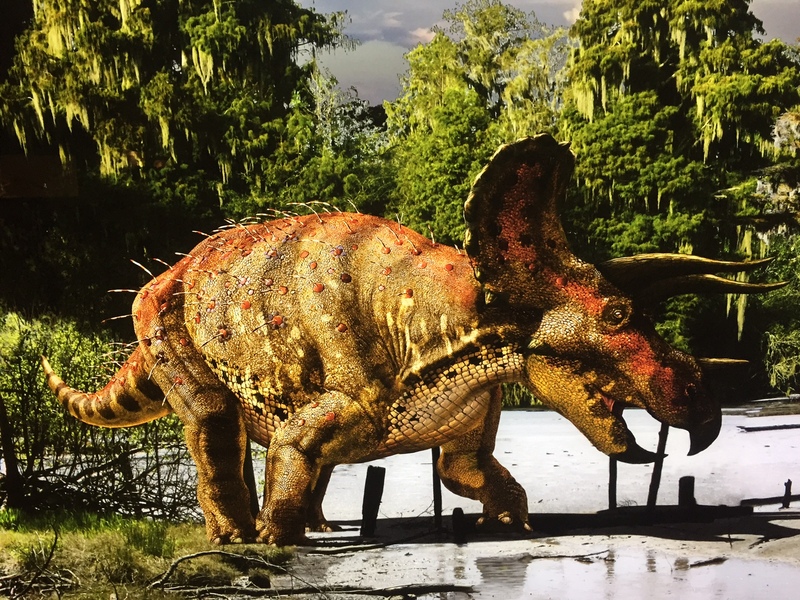 Our preserved skin reveals that Triceratopes had some sort of bristly quills sticking out of their back, which means all those pictures of smooth-backed Triceratopses in textbooks and kids coloring books are no longer accurate. Artist’s rendering of a Triceratops depicting the back bristles suggested by our skin sample. When Francisco Pizarro and his men were conquering Inca strongholds in the 1530’s, they found storerooms filled to the rafters with gold, silver, precious textiles and other valuables. They also found rooms filled with tropical bird feathers. To the Spaniards, these feathers were of little value, but to the Inca they were practically currency. Tropical bird feathers were traded over the Andes from the Amazon region. Certain species were a very rare commodity, especially in desert regions where people like the Nazca, who produced this poncho, resided. Imagine wearing a suit made of money, that is basically what the man who wore this garment was doing. This poncho is around 1,500 years old, predating the Spanish Conquest by a thousand years. After possibly taking the throne of Egypt away from her stepson Thutmose III, circa 1473 BCE, Hatshepsut rose to become one of the most famous and powerful female rulers of the ancient world. Unfortunately when Tuthmose became pharaoh after her death, he had most of her images scratched away in an attempt to erase her from public memory. 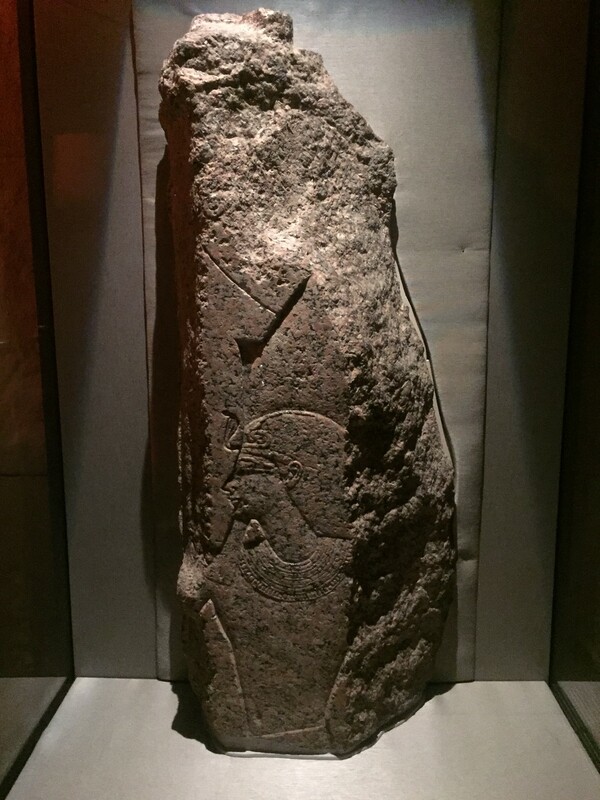 In our Hall of Ancient Egypt here at HMNS, we have a fragment of a 90-foot tall granite obelisk featuring a very rare carved image of the famous female pharaoh. You’ll noticed that she looks like a man in the carving. Hatshepsut famously had herself depicted as a male ruler during her reign, possibly in an attempt to legitimize her right to the throne in the eyes of the Egyptian populace. At 1,869 carats, this emerald is credited with being the largest uncut natural emerald discovered in North America. 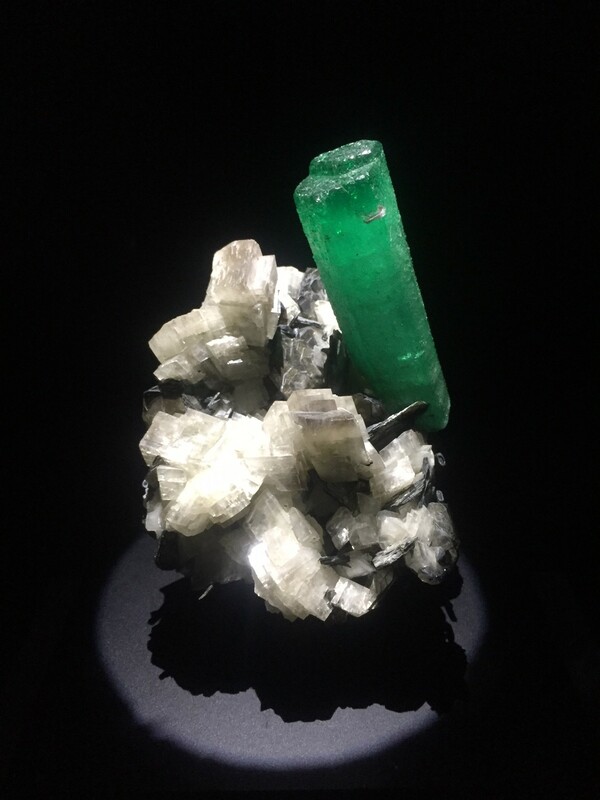 When gazing at this stunning emerald in our Hall of Gems and Minerals, you can’t help but notice the large gypsum and mica crystals growing with it. Emeralds are often discovered in a particular type of rock called pegmatite, which usually forms when super-heated water melts the rock around underground magma chambers.This process results in unusually large crystal formation.